Collects Avengers Annual #12, Inhumans (1998) #8, Thing (2005) #4 and material from Marvel Comics Presents (1988) #68, Girl Comics (2010) #2, Original Sins #1. 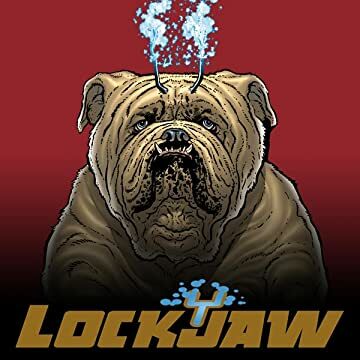 They say every dog has his day — and this is Lockjaw’s! The Inhumans’ prodigious pooch takes the lead, teleporting into amazing adventures! 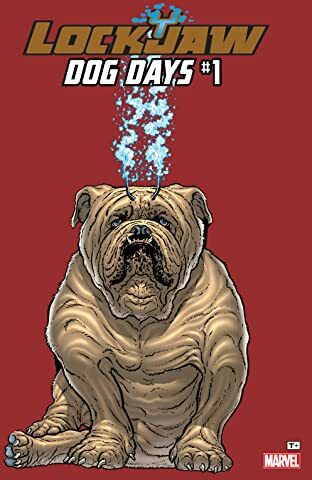 When the Avengers and Inhumans come to blows, Lockjaw shows he has a nose for danger! With Attilan in turmoil around him, the colossal canine has his own agenda in an all-time classic tale that could only be named “Woof!” What a revoltin’ development for the Thing when he spends the day babysitting and dog-walking — with Lockjaw on the end of the leash, it’s slobberin’ time! Plus: The humongous hound helps the homeless, has the Inhumans in dogged pursuit and goes digging for his Original Sin!